LifeFitness Treadmills, Elliptical Trainers, and Cable Machines for cardiovascular and strength training. Cable station, rock grip chin-up bar, step-up platform, and dip handles. Free weight area with dumbbells ranging from 5-100 lbs. Streaming fitness videos in our group fitness room. Available anytime. Yoga, spin, strength, HIIT, and more. A functional space for yoga, fitness classes and personal use. Check out our Fitness On Demand streaming video service. Functional fitness equipment including TRX, kettlebells, sandbag, stability balls, medicine balls, and more. Change rooms with showers, day-use lockers, scale & Dyson hair dryers. Ask about our clothes washing service and permanent locker rentals. Open Monday to Friday 5:30 AM to 9 PM, Saturday and Sunday 6 AM to 8 PM. 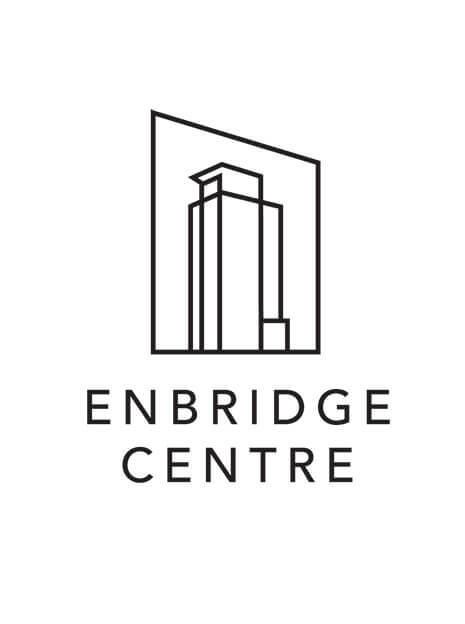 The Fitness Centre is located on the 2nd floor of the Enbridge Centre tower. Use of the Fitness Centre is available to the employees of Enbridge Centre tenants, and Enbridge employees housed in the adjacent Manulife Place building, Our PLUS 1 membership allows each active Fitness Centre member to sign-up their spouse/partner, an adult family member, or a business associate. Each current Fitness Centre member can ‘sponsor’ one, and only one, person as a Plus 1 member. The membership is non-transferable. The term is set for either 1-year at the usual $42.00 rate per month, or 6 months at $53.50 per month. All Fitness Centre members are able to partake in one of our weekly scheduled Yoga, Restore & Roll, or Function Fitness classes at no extra charge. Securely store your bike on P2. 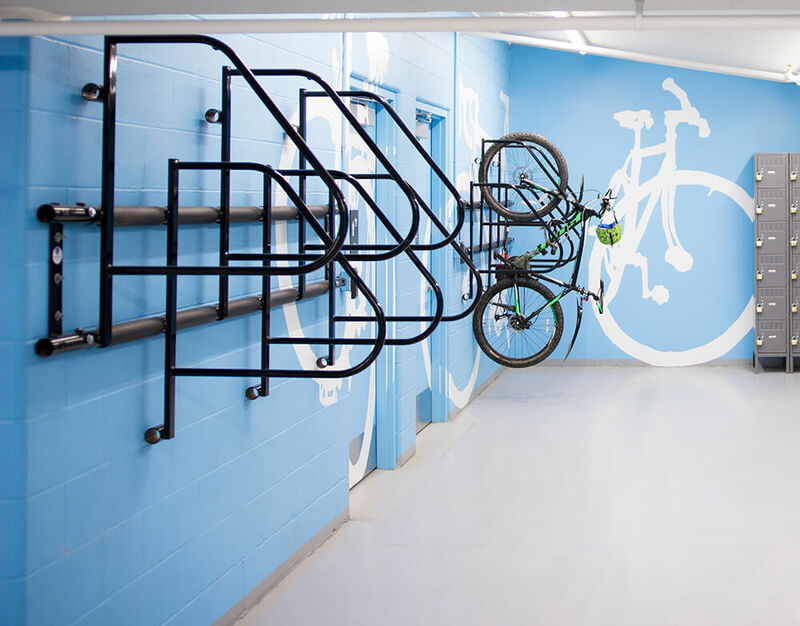 Bike storage includes a storage stall, shower facilities, and access to bike maintenance tools. 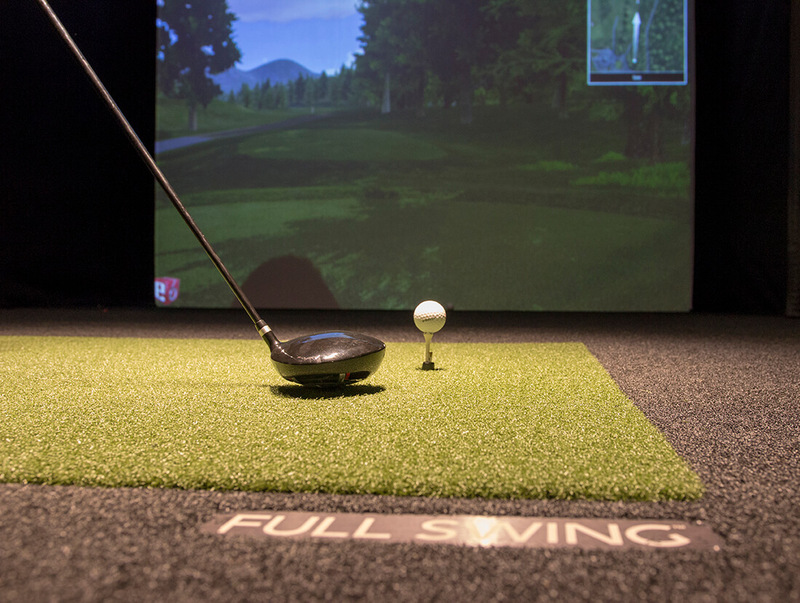 Improve your golf swing year round. Enjoy a round of golf any day – rain, shine, snow – it doesn’t matter. Book a tee time for yourself, with your colleagues, or for a charity event. Sign up at the front desk between 10 AM and 2 PM. An energetic form of yoga, moving fluidly from one posture to the next, while connecting breathing to the movements. Modifications are provided to allow the class to be accessible to all ages & abilities. Build your core stability and strength, full-body strength and power, balance, coordination and mobility. Learn how to use your body weight and other tools to create a challenging full-body workout. Designed to help you stay injury-free while learning to move better, feel better, and perform better. This class begins by warming up the body through gentle yoga postures, leading into myofasical release with the use of various props/tools to help open up the physical body. 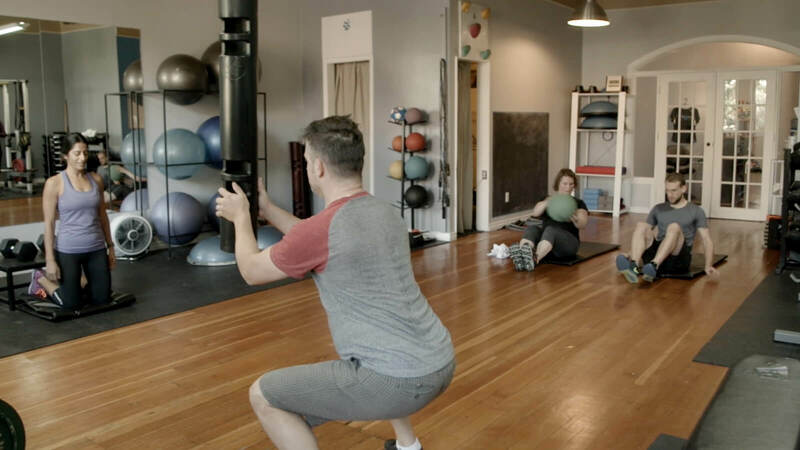 Self-myofascial release (SMR) is a powerful self-healing tool that can assist with muscle tightness - relieving pain, enhancing alignment, and helps to improve range of motion and flexibility. This class is a great accompaniment to any workout routine and is suitable for all ages & abilities. Breathe Fitness creates a fun, challenging, and engaging experience–every training session. We will help you reach your goals both in and out of the gym, and aim to enhance your quality of life. Improve your fitness with us. Fitness. For Living.